Appriss Retail was recently recognized by CIO Applications Magazine as one of the Top 10 Retail Tech Solution Providers of 2018. The announcement caps a year of achievement, including the release of its Secure™ Store version 5 into the Appriss Retail performance improvement platform. 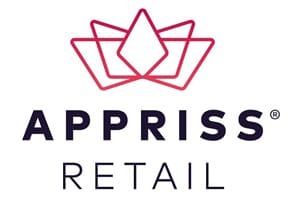 With more than 20 years of retail data science expertise, Appriss Retail’s Software-as-a-Service (SaaS) platform generates advanced analytical insights and real-time decisions that drive action throughout the organization, including operations, finance, marketing, and loss prevention. Its performance-improvement solutions yield measurable results with significant ROI among retail store, e-commerce, and inventory functions. The Appriss Retail platform offers an extensive analytics data store that powers three flagship products. One is the post-transactional analytics platform, Secure™, a sophisticated vertical BI solution which helps identify important issues at the store level. Another is Verify® return authorization, a real-time analytics and decisioning platform that enables a positive customer experience by quickly approving all legitimate returns and ensuring only those consumers with highly suspect return-and-exchange behavior are addressed. The third component in the portfolio is Incent™ targeted incentives which optimizes the consumer experience by offering the most profitable consumers intelligent incentives to make additional purchases from the retailer that day. For more information, visit https://apprissretail.com.